Montessori education was borne out of passion. It began with a story. A story of a young woman who was under enormous pressure for no other reasons but for merely being a woman. Maria Montessori had a desire to pursue a medical career – at the time privilege assigned only to men. At a critical moment in her life, she was very close to giving up her dream having to endure constant humiliation and unfair treatment from fellow students at the medical university. However, one day she saw a poor young child playing with a red object on the side of the road. 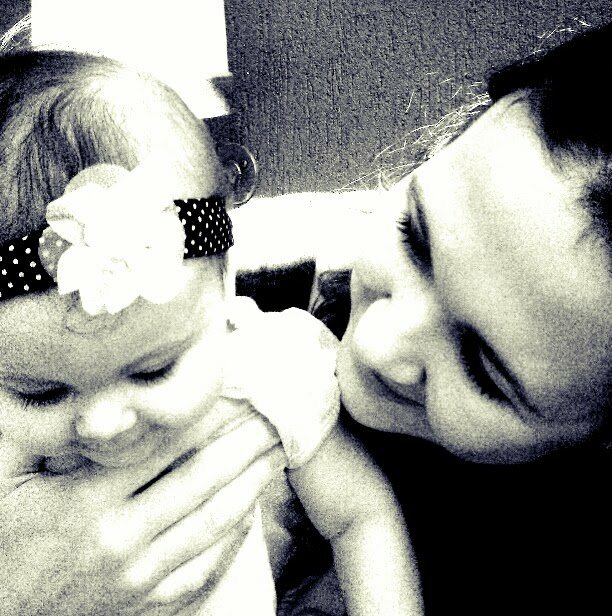 She was fascinated by the way that child was engaged interacting with the object. This incident impacted her in a major way and she became determined to conclude her study. Later on, she took up a challenge to work with destitute children that the state labelled “unable to learn”. Her success and transformation of those children drew the attention of people from all over the world, including the Queen. Maria Montessori opened her first Montessori environment in 1907 – on the 6 January 1907 in Rome, Italy. “When the children, ranging between the ages of 2 to 6 entered, they were dressed all alike in some thick, heavy, blue drill. They were frightened and being hindered by the stiff material, could move neither arms nor legs freely. Apart from their own community, they had never seen any people. – a fragment from a talk by Dr. Maria Montessori to her students on the 6th January 1942. Psychologists in the US found that across a range of abilities, children at Montessori schools out-performed those given a traditional education. Five-year-old Montessori pupils were better prepared for reading and maths, and 12-year-olds wrote “significantly more creative” essays using more sophisticated sentence structures. Montessori education is not limited to a Montessori school. It takes all sorts of forms – there are public Montessori schools, Montessori playgroups, Montessori homeschools, Montessori cooperations, Montessori daycares, etc. And even if your child doesn’t attend a Montessori school, Montessori-inspired parenting can be your way to gain all the benefits of this practical and brilliant way of raising children. educational journey. Montessori education is a learning experience for children and adults, bridging gaps between them. It is the meeting of minds. Montessori is a method of education that encourages children to explore their world, to understand and respect the life forms, systems, and forces of which it consists. Some really know very little about Montessori. The points we want to make are that the children move ahead as quickly as they master the material. They do not have to wait for the rest of the class to catch up or If they are absent for some reason, the class does not move ahead as it is all individualized and the child begins again where he left off when he was there. Montessori education includes many interesting topics for children and their teachers. For example, the study of shells from the beach can take off in many directions with everyone in the classroom becoming familiar with some of the incredible treasures of the ocean. They classify by type, color, use, and food, to mention just a few possibilities. The study usually goes on as long as there are new areas to learn. The math and language in Montessori education are comprehensive and wonderfully effective for the learner. Geography begins early and continues along with the history of the places and different forms on earth. Montessori education is never finished as there is always something new to learn and creates the desire to be a lifelong learner. good qualities our society seems to have overlooked. For me Montessori education is about following the child. To allow the child to follow its natural instincts and rhythm. To be able to make choices, become independent and responsible by using child-size material that is seen being used in the home. Montessori education has its origins from a doctor and scientist, Dr Maria Montessori who observed children, and saw how children developed by going through different stages. Through many developments, she came up with materials that allow the child to isolate only 1 difference and to see for themselves where an error has occurred ensuring self-respect and confidence.To problem solve without the interference of an adult. To be able to work on their own, and group – sharing their knowledge with other children of a class with mixed ages To understand the class limits/ rules and to follow them with respect as this shown to the child/adults. To be without fear or of punishment or belittle behaviour. 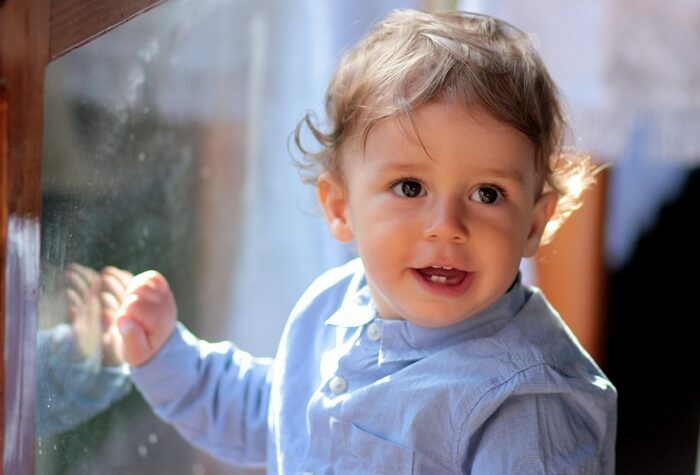 In essence, Montessori education is Allowing the child to grow in spirit, mind and wellbeing, to be self-confident, independent and to love life. Education based on scientific observations of each individual child and preparing the environment for their needs. Montessori education is a teaching method that caters to the needs of the child. The children choose what they are interested in. The teacher acts as a guide in the classroom, rather than a “teacher”. The activities are simple, easy to use and age appropriate. The classroom is not cluttered – and is a safe nurturing environment for young growing minds. Montessori Education is dedicated to creating young independent children – who are empathetic, kind, and smart. Montessori Education is the learning philosophy, developed and very intentionally designed by Dr. Maria Montessori, to let children lead the way in their own learning. The Montessori guide, or trained teacher, follows the lead of the child in their development and interests. Dr. Montessori created materials specifically designed to help children learn academics in a concrete way, setting them up for success with the inclusion of a control of error (meaning self-correcting). The curriculum includes activities, materials, and the philosophy that all help children become independent and confident, as well as giving them the skills needed to achieve success in cognitive, physical, emotional, and social development. 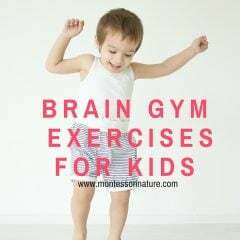 Children who are in Montessori environments also excel in executive function skills. All of this is based on the guide (teacher) being trained in the philosophy, pedagogy, and curriculum and creating a setting where independence and learning is encouraged through the thoughtful preparation of the environment/classroom. A Montessori education is an easy way to teach in order to do the life more practical. It makes independents kids.. they solve their own problems and learn from their mistakes. Montessori Education is child-centred, child-initiated, hands-on learning, where age-appropriate activities are offered by the adults to help nurture and further the child’s interests and development. Teaching my child to become a capable, compassionate, intelligent adult with real-world lessons. Montessori is meeting children where they are and giving them the tools to move forward with their development. It is removing anything that poses an obstacle to their growth. It is maintaining their curiosity and responding with, “let’s find out!” It is treating the child with respect, always, and with trust. It is setting the boundaries and practising the skills of the child’s culture(s), but also helping them to define when cultural expectations are unfair… and then working with the children to change them. best selves they reach out to touch the world with their love and their innovation and their skills and their refusal to give up or accept injustice. Practising Montessori as an adult is an act of love, hopefulness, and trust, but it is not always easy. It can be difficult to trust the child when we were not always trusted as children; it can be difficult to find patience when our lives are so, so busy. Sometimes, in our excitement, we struggle to let children find out answers for themselves, and sometimes, in fear of their potential struggles or our own challenges, we might not think they are ready for things that they actually are ready for. Because we so often have to overcome our own expectations, practising Montessori requires us to observe; to watch and listen and wait and finally to respond to the child’s needs. But though it can be difficult, it’s infinitely worth it because of what it does for children, and what they, in turn, will do for the world. Montessori Education is the result of thorough observations and experimentations done by a very passionate lady who quit fame and professional career to undertake the role of children carer. The time she spent at the first Casa of Bambini reformed Early Childhood Education standards. Montessori education is not only about academic achievements. It is about the whole being of the child. Montessori education to me is a way of learning that’s is open to a variety of experiences. I love that learning can be on the go just as it can be at home or in a classroom. Experiences that lead to teachable moments, that happen throughout our daily adventures. I love the Montessori way of Teaching independence with lifelong values of loving learning. 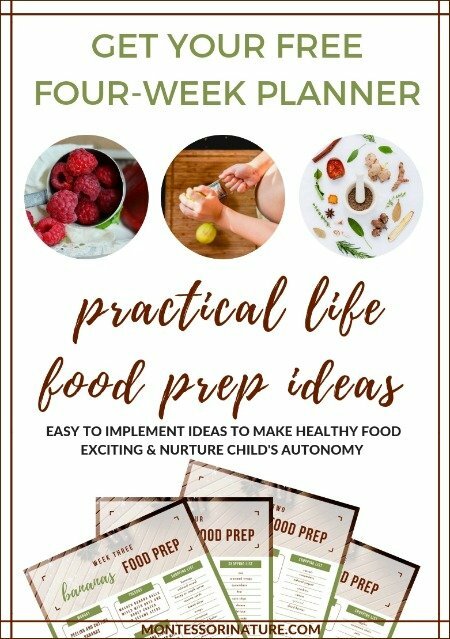 Having an environment set so the children, child in my life, can be successful throughout her daily activities whether it be reading books to potting her own plants. It’s available when she has an interest anytime. Montessori education is a child-centred approach to learning that honors and respects each child’s innate desire to learn by providing a rich environment specially structured for them to a expand and explore their curiosity. My favorite nomenclature cards are ones that have to do with language. Montessori education empowers a child to be independent and self-reliant so they grow up to be emotionally strong and confident individuals. learning, children develop a curiosity for wanting to know more. A love of learning for life. multiple areas of interest for students to find materials they are interested in discovering more about. Montessori is a peacefulness and natural flow of a child’s development, where the child’s spirit is engulfed in the happiness that comes from feeling free to be their authentic self and pursue their independence. 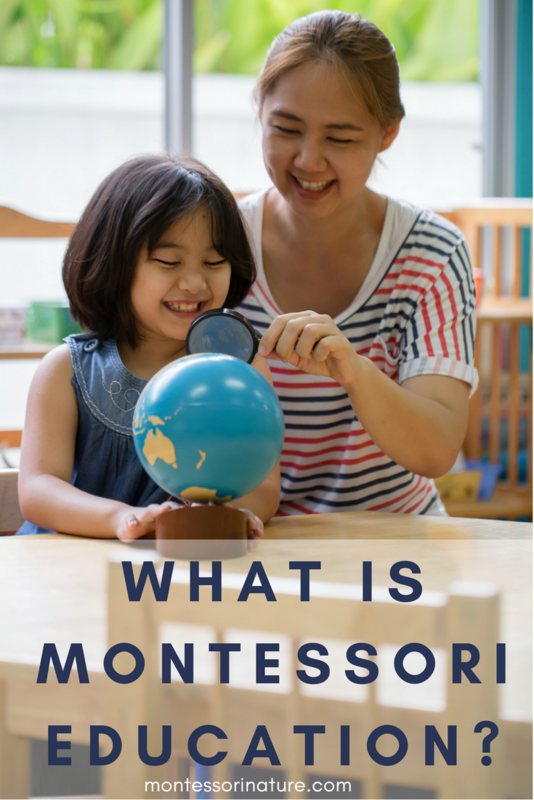 To answer the question “what is a Montessori education one must take a breath, take some time to thoroughly think what that encompasses and most importantly remember all that is connected regarding a Montessori education. To me, the meaning of an education is acquiring knowledge, exposure to new experiences and new learning that takes place. So, Maria Montessori, had this all figured out. But she felt that there were special important aspects that needed to be included in learning. A connection to our hearts and souls, kindness, respectfulness and an inner peace that would be strong enough to emit that peace within our own environment and world. Because education on different aspects within our lives is not entirely complete unless a good sense of self, peace within and shared kindness remains important and is exercised, our education becomes mechanical and remains on the surface. So my opinion of a Montessori education is something strong, unique and everlasting as it remains an important component to our own being. correcting what they did wrong without the help of the teacher unless it is truly needed. I totally love being a Montessori teacher. Montessori education is an open-ended learning experience that emphasizes following the child through interest-led learning. Development of the whole child is encouraged as the child interacts with concrete materials and peers in a lovely, engaging prepared environment. A lifelong love of learning is initiated. It is a method that provides freedom and independence for the child development, it is an environment where children can grow, discover, grow in peace. It is an education for life. In my opinion Montessori Education is an absolutely natural way to teach and lead children with respect to their personality and nature according to age, their possibilities and interests. It´s a friendly way to show and explain them the world and everything that we have and see in our lives. right opinions who will be again good parents and teachers in the future. Montessori is very different in comparison with usual education, which offers just a lot of information to kids, but they are not really prepared for real life, not prepared to solve the problems (personal or general ), think with own brain and compare the opinions and statements of other people. It would be great if every child has the opportunity to meet the Montessori Education from early childhood. second career choice. I feel proud to be able to share and show this path to the younger generation because it truly enables them to understand the nuances of life and how to live them happily and purposefully. It is wonderful to see the love for learning and the growth in each and every child as they become independent human beings. us talk. This discovery process is what helps them love learning. Especially in the preschool, the materials help to order the child’s mind and are most important. However, the materials Maria Montessori created are not the only materials we now have to use. I have added so much from other sources, especially after the preschool years, especially in the field of logic. I believe this helps the child to further see and understand the relationships in other fields of study. Obviously in the field of Math, but in science, history and other aspects of life. It most importantly helps them learn to think for themselves. But I think I’ve gotten off topic. When we present the material to the child and step back to watch, we can learn how best to help the child next. We can ask ourselves how we can better present this to them, how can I help the child extend his interest in an area, what is the child ready to learn next? This is how we help the child. As the child gets older and is ready to branch out into other areas, there are so much more areas of study open to him. It’s exciting, but it does keep us on our toes. To me Montessori Education is about helping children to grow in their own way in helping them to learn more about the world around them. It’s a great way to help them learn to make decisions for themselves and to discover things in their own way and in their own time. It’s not about being pushing and forcing kids to learn things that they are not interested in. -Karen, Director of a small children’s/babies home in Uganda. Montessori Education is a self-paced, individualized method of education that addresses the “whole child”. Keen observations lead the teacher to present materials that intrigue the child and “unlock” the child’s potential. With character training at its core, the child receives detailed lessons on manners, virtues, and positive communication skills – the fact that they can often spell, read, complete 4-digit addition & subtraction equations and know what a sphere, cube, and cylinder are by 5 is just icing on the cake! prepared for the real world, through self-discipline, independence and analytical thinking. Montessori education prepares children to look at their world, whatever that world may be, or turn into. It is guiding children to look deeply at the things around them. Exposing them to as much as they can absorb, and letting all of the bits stick where they will. Each little “unimportant” piece becoming another block it the child’s character, personality, and “toolkit for life”. Montessori is education that creates builders, people who are not afraid to take on a challenge. It is education that prepares you to seek the truth, to not just take someone’s word for it, but to discover and understand for yourself. Thanks for all of your great resources that make learning more beautiful. Beauty is important. There is too much ugly out there in the world, but we *try* to dwell on the good, the beautiful and not add to the ugly. I recommend you to complete this Montessori Crash Course ‘The Power of the Prepared Parent’ created by Christine O’Leary of Ultimate Montessori Parents Guide. What do you think!? Is Montessori education relevant today? Love your site! I agree, Montessori is not just a fantastic way to educate, but so much more. It’s a way of life and an amazing way to parent. It has given me confidence in parenting my own children. I think she was an amazing woman, forward-thinking and genius! I wish it was more widespread and accessible in the UK. Inspirational! Thank you for sharing. Thank you, Carolanne, for your kind comment and for sharing your thoughts! I can not agree with you more!